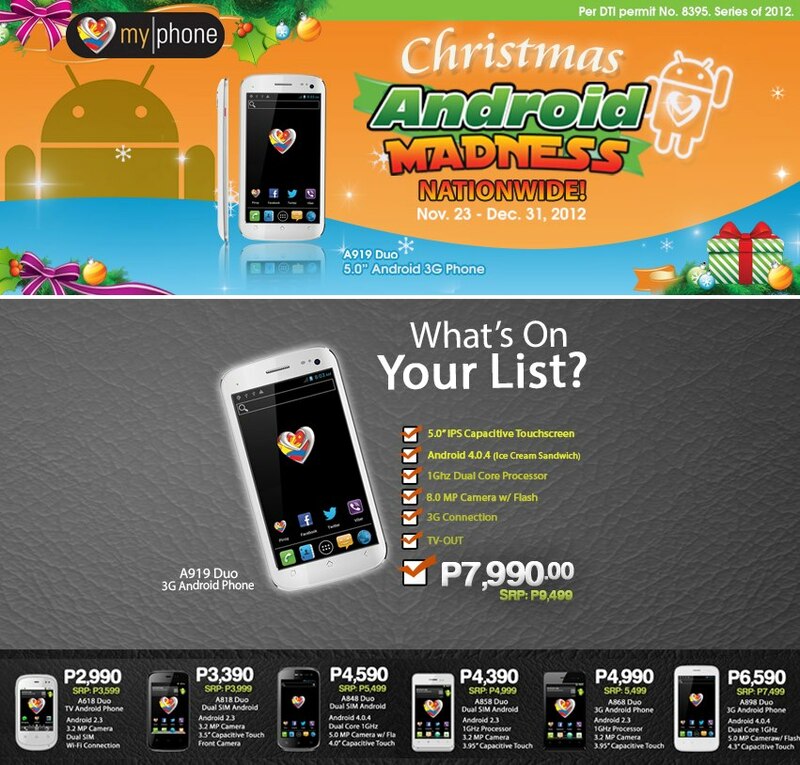 My|Phone is bringing a nationwide sale on their Android phones, dubbed as "Christmas Android Madness Nationwide" starting November 23 until December 31, 3012. But...but... still a big BUT! 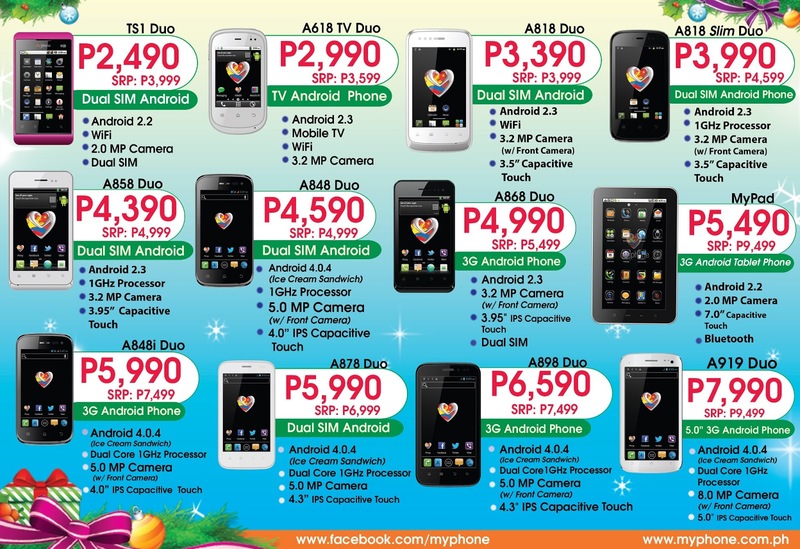 I thought A919 Duo was priced P7999 when it was officially released last week (see my previous post here)? Now its SRP has gone up to P9,499? Hmmmm.... Tsk. Tsk. Tsk.